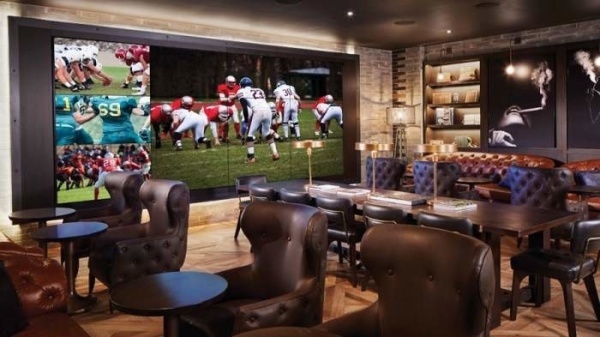 A 208-inch video wall made up of twelve 55-inch television screens makes Montecristo a prime spot to watch all the games this season. Lavish leather couches and oversized leather arm chairs fill the room and will ensure your comfort during long games. Packages start at $100 and provide seating for up to 2 guests, while our $250 packages can increase the party to up to 6 guests.